In April 2013, Belgian locomotive no. 1203 left its home country. 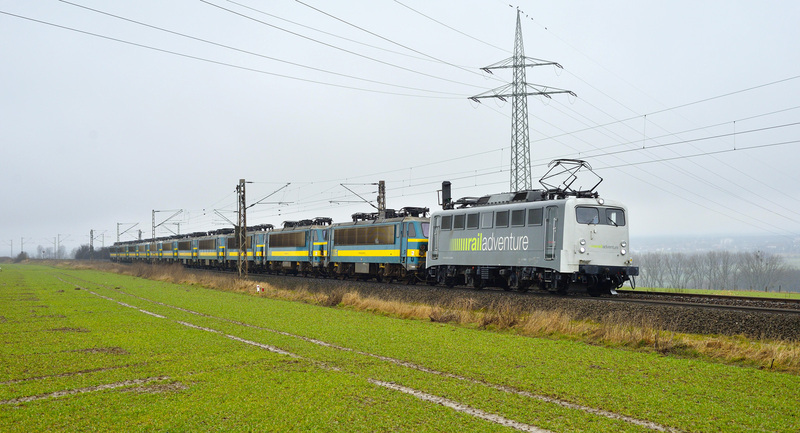 The former SNCB/NMBS dual voltage electric had started its journey to the Czech Republic. This is a story about the re-incarnation and re-allocation of an electric locomotive type, only possible thanks to an open European railfreight market and the creativity of a rolling stock manufacturer. The 1203 was taken to the VUZ Velim test centre in Cerhenice for an extensive test and trial period that finally took around three years to complete. Goal was to determine to what extend the locomotive needed reconstruction and repair to fulfill its new purpose. The machines, and possible more units of its type, could be potentially useful in a new plan of Czech rolling stock manufacturer CZ Loko. The company developed the idea to adjust and rejuvenate the machine, using modern technology, so it would become interesting to operators in countries such as Poland, the Czech Republic, Slovakia and Hungary. The SNCB/NMBS 1200 series could be perfect for this job, as these machines already were dual voltage machines for 3kV DC and 25kV AC voltage systems, ideal for (international) services in the countries mentioned. 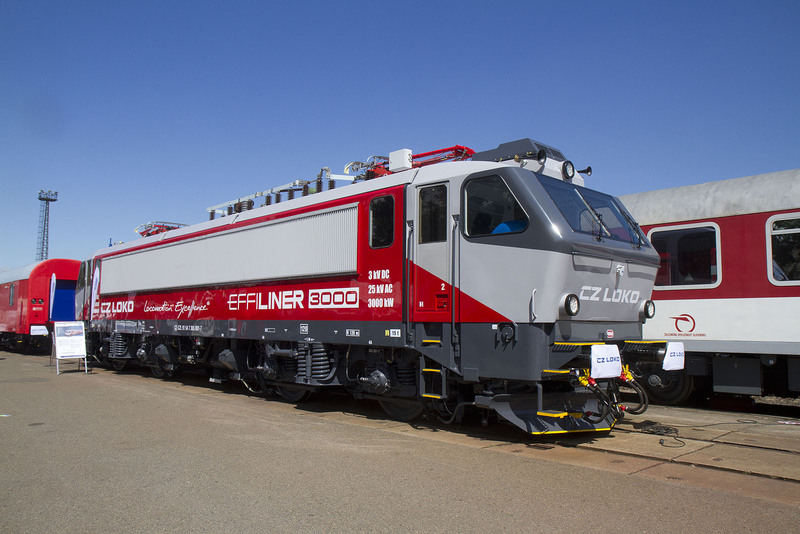 If successful, CZ Loko was able to construct an almost-as-new multi system electric that would cost 30% less than a new locomotive with comparable characteristics. Interesting for the manufacturer, and interesting to operators from the region, who could hire or buy such a machine from CZ Loko. CZ Loko decided to rebuild unit 1203 in 2014. It started with a comprehensive modernization of its traction components. At the same time, the frame, as well as the location of modules, were adjusted. It was CZ Loko’s goal to maintain the machine’s continuous rating at 3 MW, while its maximum speed would be reduced to 120 kph. In the end, only the frame, the body including cabs, the bogies and the traction motors of the original 1203 remained. All other parts en equipment has been replaced and modernized. Remarkable: the weight of the locomotive remained the same: 85 tonnes. The first static tests with the former 1203 were performed in April 2016. In June the machine made its public debute during the Czech Raildays 2016 in Ostrava (CZ). It was presented in CZ Loko’s corporate colors red and grey and renumbered as 365 001. CZ Loko gave the machine the product title ‘EffiLiner 3000’ where the number refers to its power rating (it is 2.910 kW to be precise). The rebuild process was not yet fully complete at that moment the 365 001 was presented. CZ Loko expects the machine to be ready for duty in the Autumn of 2016. Meanwhile, CZ Loko states it has found a launching customer which means it will be reconstructing more locomotives. Therefore it was decided to transport the other 11 units from the 1200 series to the Czech Republic. 1201, 1202 and 1204-1212 left Stokkem (BE) on 04.03.2016 and arrived in Ceska Trebova (CZ) within three days. They then continued to Brodek near Prerov. CZ Loko says it will not only selling the machines, but that some units will also become part of a rental pool. To be continued.